Two minutes after takeoff from Hobart-Cambridge Airport, while in initial climb, the aircraft went out of control, nosed down and crashed in the Derwent estuary, near the Seven Mile Beach. The aircraft was destroyed and no survivor was found among the 25 occupants. The exact cause of the accident could not be determined with certainty. However, it is believed that the captain inadvertently switched on the autopilot system in lieu of the fuel cross feed system. 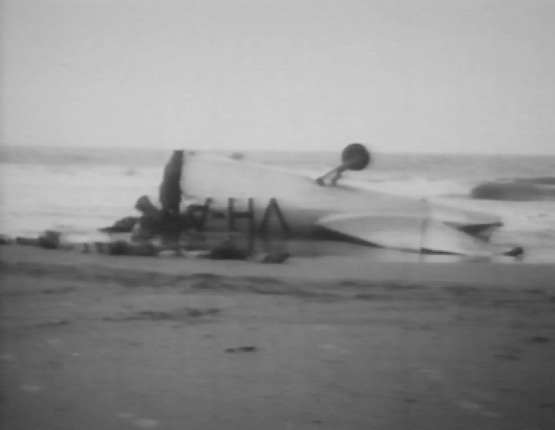 A forward movement on the control column was then noted and the aircraft plunged into the sea. At the time of the accident, the capacities and the performances of the captain were considered as reduced because he suffered of diabetes and was under influence of insulin, which could be considered as a contributory factor.